Using live plants represents a universal decoration trend that you can incorporate regardless of the particular interior design of your home. 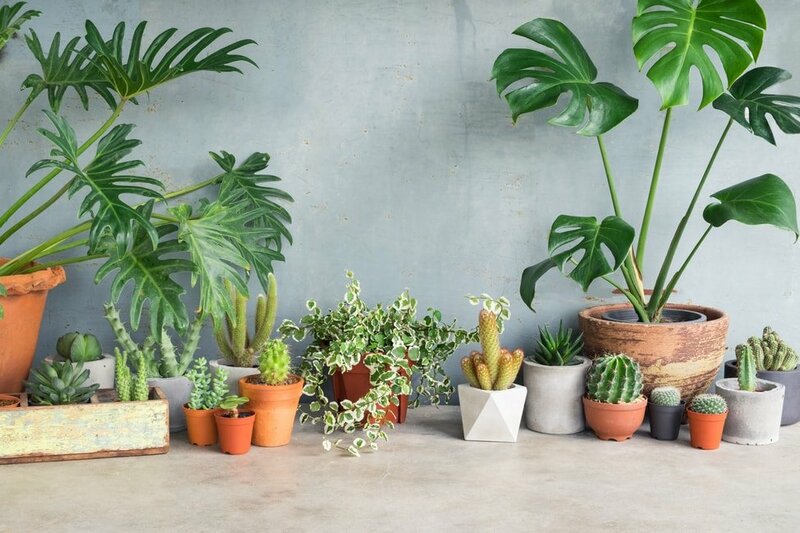 Houseplants are capable of accentuating the pieces already found in a room aside from offering a healthy effect of better air quality. Considering the versatility and colorful liveliness provided by plants, they should be a staple when it comes to interior decoration. Learning how to integrate plants with the rest of your décor can be considered an art. You are after all bringing a part of the outside world in your man-made living space. Good design means achieving an ideal harmony when trying to fit plants inside your home. There’s no shortage of reasons to include plants in your daily life as they’re so beautiful and beneficial to your health. We’ve made a selection of stylish ideas to harness the aesthetic potential of live plants for home decoration. Before considering other aspects, it’s essential to figure out the best ways for grouping plants together. Having a superb indoor green display requires a bit of patience to create a harmonious arrangement. It also depends on factors such as your home’s decor type. 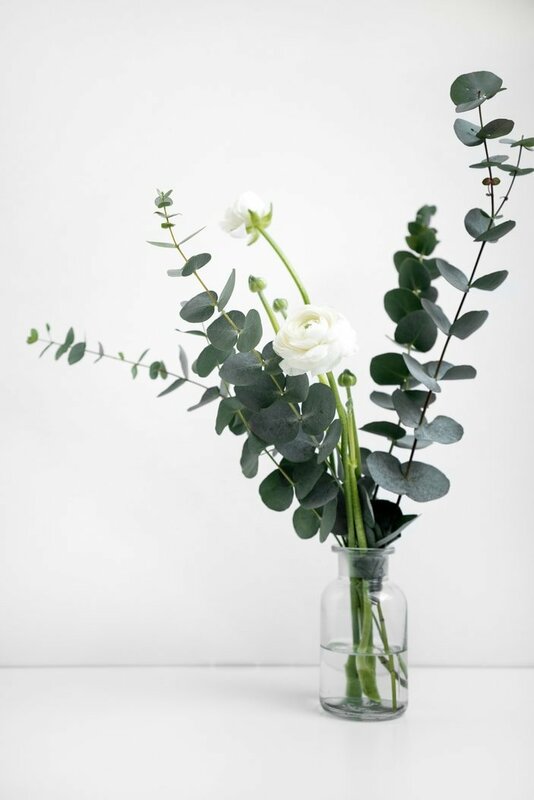 In a minimalist decorated home you will ideally place a very small number of plants in key areas while in a casually sophisticated context you will most likely want to achieve the scattering effect. Plants should be grouped in odd numbers to create a more relaxed look because too much symmetry can give off a strong impression of formality. When it comes to size, houseplants can look nice together even if some are taller or have a different width. By placing different-sized plants in the same spot you can create a more organic visual effect as opposed to the monotonous aspect of grouping plants of the same size together. These are important details that can play a role when you’re arranging plants. The same asymmetry such as the one regarding numbers and sizes will work here as well. This means you should focus on getting together plants with different shapes. The more diversity, the richer the resulting look can become. With colors, things can be a little different as it’s recommended to keep plants with similar colors together. Pay attention to the hues of the leaves to obtain a more cohesive look, but don’t forget about throwing in some variety when you feel like it. Selecting the best pots can often come down to personal preference. If you like the idea of keeping the plants in your arrangement as part of a set, then you’d be better off by choosing pots that are similar in colors and other design elements. Some people like a more eclectic finish, so in that case, consider mixing things up by using different-looking pots. Arranging houseplants together shouldn’t only take into account the aesthetic needs of the room. There’s also the matter of caring for the plants to respect their needs as well. For instance, it’s a good idea to pair the plants who like increased humidity together. As light and temperature needs can differ wildly from a plant to another, it’s important to research these aspects before attempting a specific arrangement. If you’re not very careful you could end up making the life of a certain sun-loving plant difficult and the same can be said about a plant that thrives better in the shade. One of the easiest ways to include some elegant plants into your home is to go for floor plants. 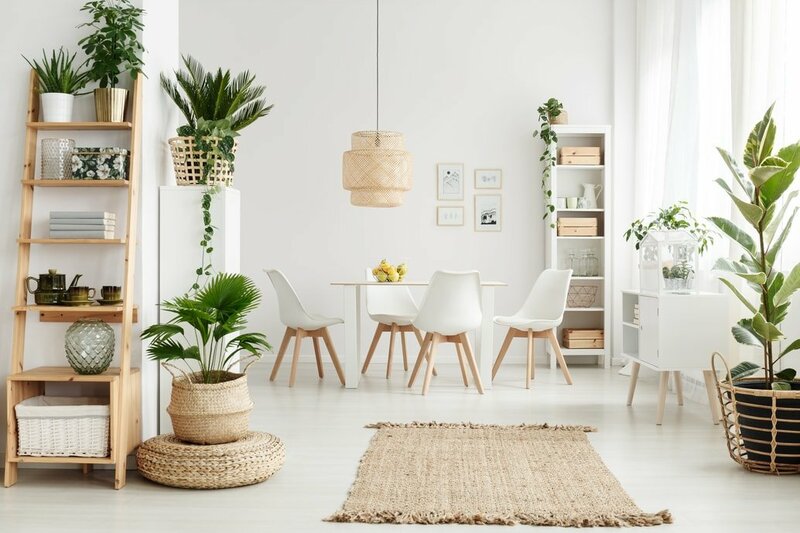 Rooms that lack a bit of green life can benefit from a stylish floor plant, particularly if there’s a lot of empty space. Placing a large plant on the floor in the office is a great idea and the same can be said regarding your living room at home. It makes for a great focal point when placed near the sofa. 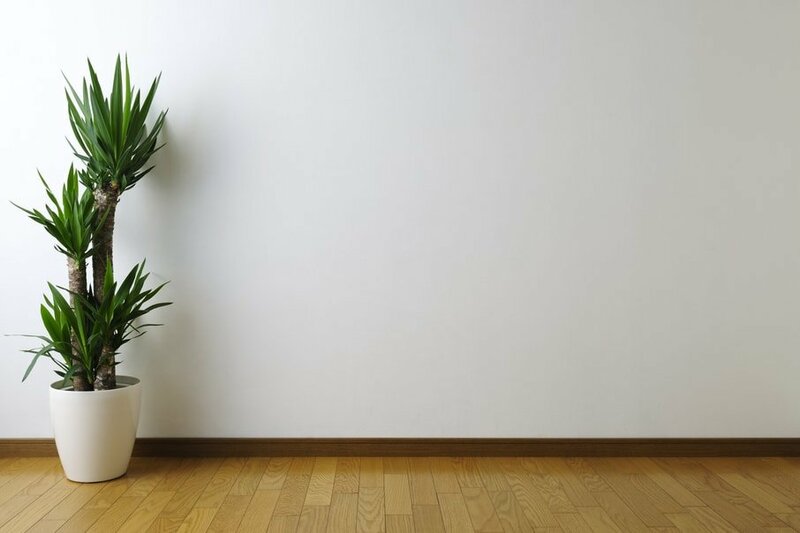 A floor plant can act like a finishing touch when decorating a room. It’s the last spark of freshness that completes the whole design. With that being said, how do you choose the best floor plant for your living environment? You can’t go about this process in a careless manner as the plant has some important needs that should be met. The first thing that you have to consider is lighting. As opposed to other houseplants, those placed on the floor might have some trouble with getting adequate lighting. Ensuring they get plenty of lighting is therefore quite important. Another thing to be aware of is the size of the plant. It should match the size of the room somewhat. Placing a huge plant in a room with low seating will also create an unbalanced look. Those who live in residential spaces should focus on getting plants up to 6’ or 7’ while people with higher ceilings can consider even taller floor plants. For small apartments, it makes more sense to get floor plants designed to sit low measuring just 2’ or 3’ in height. This could be also a better solution for staying within a stricter budget. Succulents are some of the most popular houseplants in recent times. It’s easy to see why. Not only are they very aesthetically pleasing to look at, but they’re also much easier to maintain healthy compared to more demanding plants. Ideally, we would all like to dedicate more time to care for our plants. If your schedule is too busy, succulents can still thrive with minimal help on your part. A succulent plant is a lively addition to many different homes. It can reward your efforts and grow nicely even in some environments that are inhospitable to other plants. These are desert plants and some of their best characteristics are the impressive resilience and longevity. Thanks to their linear shapes and styles, succulent plants can match modern homes easier. Succulents and mini cacti are a versatile assemblage. They can be incorporated in multiple ways throughout your home offering a beautiful cohesive look through their diversity. You can keep a unified color palette while choosing all kinds of succulents, from round and shiny to pointy and matte ones. If you’re looking to include a more diverse range of plants into your décor, you shouldn’t forget about blooming plants. 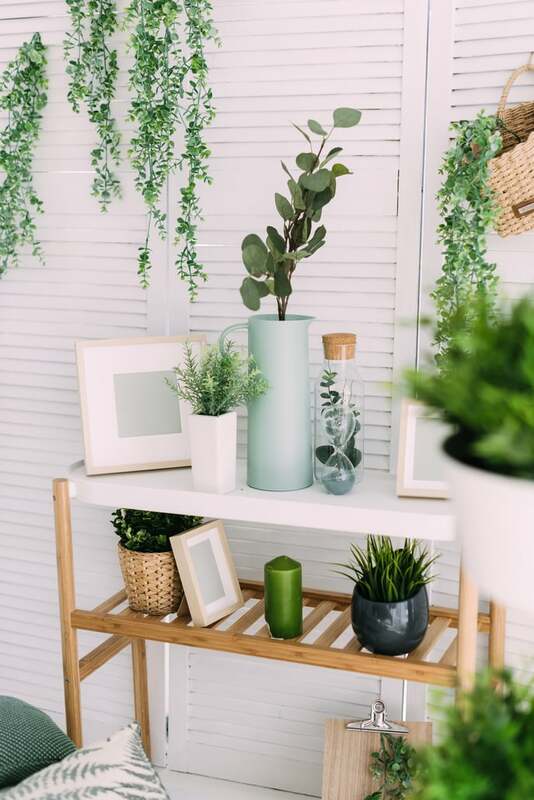 While we all love a touch of fresh greenery in the home, there are other colors you can take advantage of when choosing plants. Blooming plants offer all the usual benefits of green plants with the added bonus of beautiful flowers. 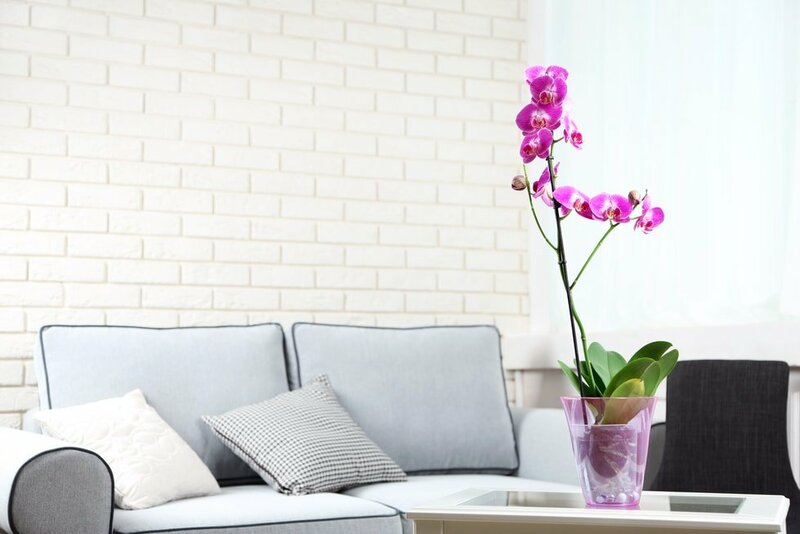 One of the most appreciated blooming plants by lots of stylists and interior designers, the orchid represents a fantastic blooming plant to consider for your home. This plant shows off elegant flowers in vibrant colors and its sculptural silhouette can match multiple décor styles. Orchids are eye-catching blooming plants that shouldn’t miss from your home if you wish to make a statement. Another option that you should take into account is using cut flowers. This is a good solution if you’re looking to enhance the look of a room in the short-term. The fact that it requires minimal effort and time represents a solid advantage. You shouldn’t miss out on the potential of cut flowers to enhance the beauty of a room. They can be replaced as often as you like though you may start feeling like you break the bank if you do that too often. This is the tradeoff compared to potted plants. 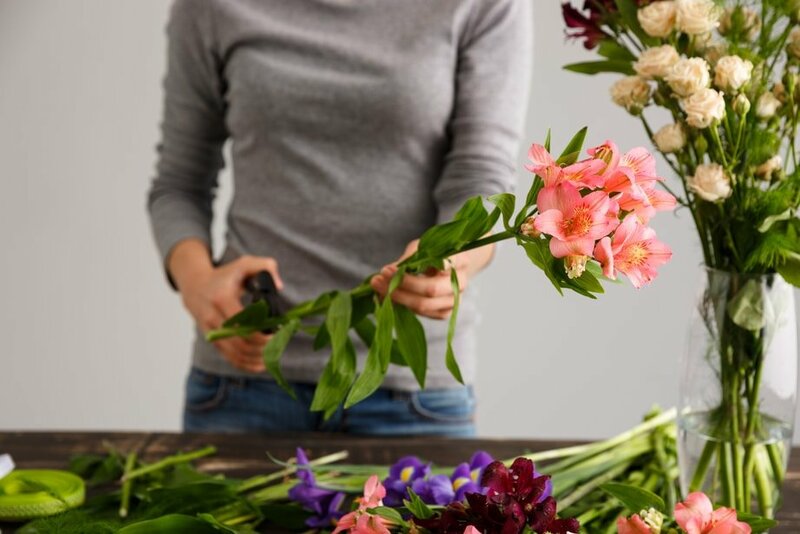 The good news is that you can swap some cut flowers for ones of a different style to match a room that’s getting a makeover. You can transform the look of the room without too many hassles. 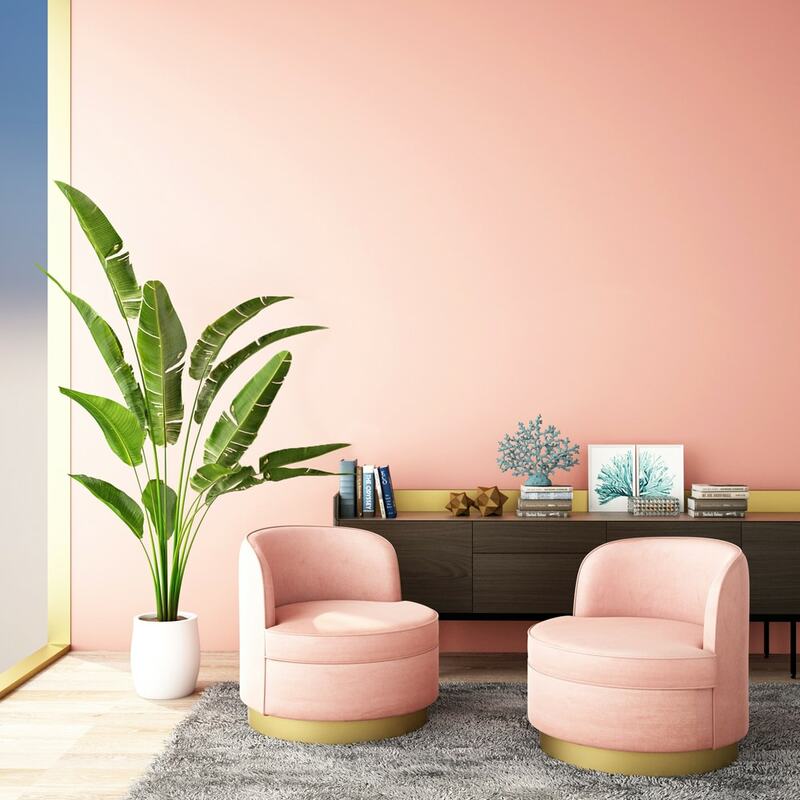 This is a quick and efficient option for modifying the interior design, as well as impacting your mood with some pops of color. Bringing more plants inside your home is a good idea, but you might realize that you don’t have enough space. One inventive solution to create a beautiful little garden into your home is to use the hanging method. 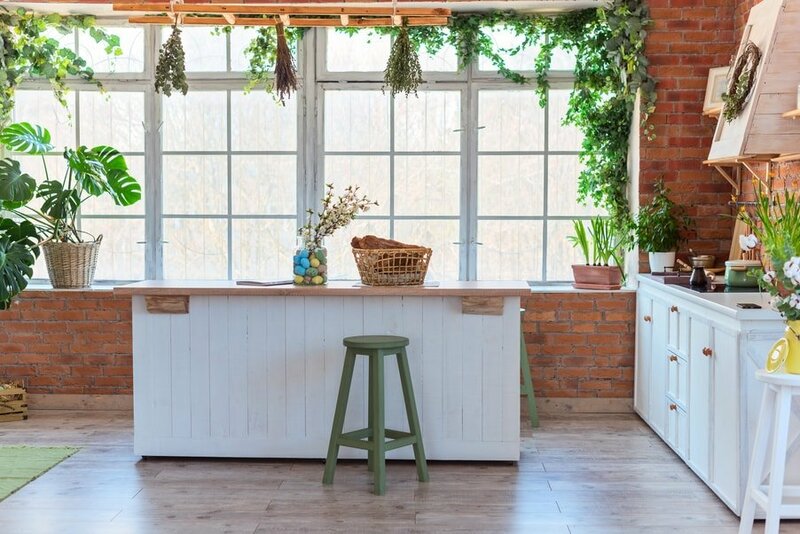 An empty wall in the kitchen can definitely benefit from a little more greenery. For this method to work, you will need a few small planters and your favorite fresh herbs. A hanging herb garden doesn’t just look amazing on your kitchen wall. It also helps your cooking with a dash of fresh herbs. Setting it up doesn’t take long, especially if you’re lucky to have an exposed brick wall. You could also use multiple shelves to show off your herb collection, but if you rely on individual planters you can get more creative with the design. A great way to enhance the look of your bedroom is to add a potted fern. 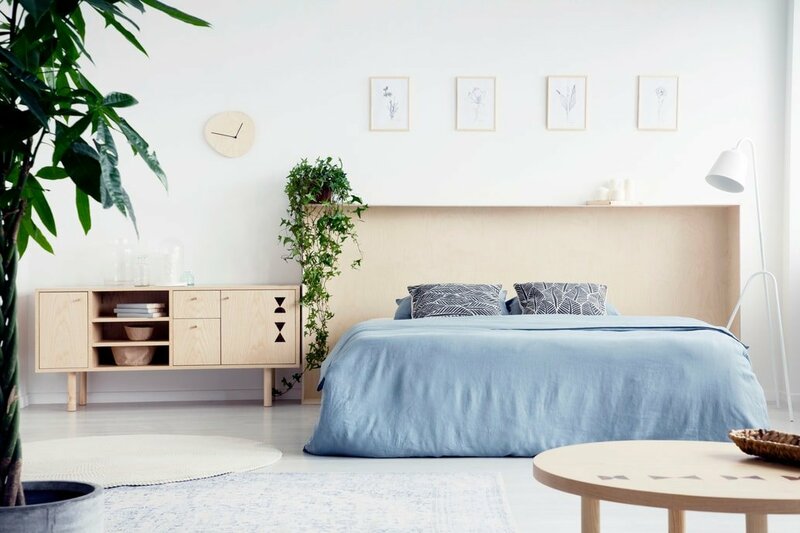 This leafy plant can make the room feel richer and vibrant allowing a simple room to take advantage of a minimalist enchanted forest. When it comes to selecting the right pot for a fern, it’s a good idea to take into account the aspect of the plant. 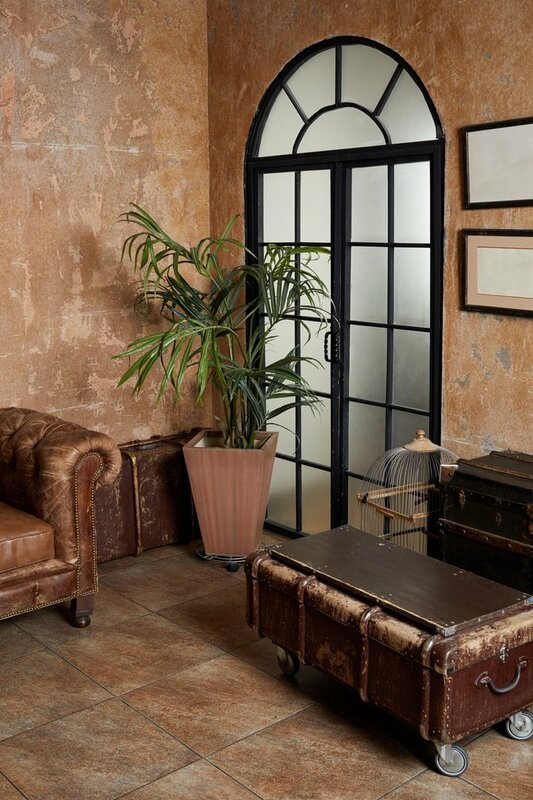 As ferns give off a regal vibe, we recommend a stylish matte pot for them. Ferns will also require a bit of grooming to achieve the right look. These lush plants will need indirect light to thrive and make sure you only water them when the soil’s surface is dry. When you’re trying to decorate using plants, the selection of the vase is one of the most important processes. With the right planter, you can achieve a great look that perfectly matches the style of a room. If you wish to go for a relaxing atmosphere, consider more neutral hues and styles for the vase. Perhaps a touch of oceanic blue would work nicely. 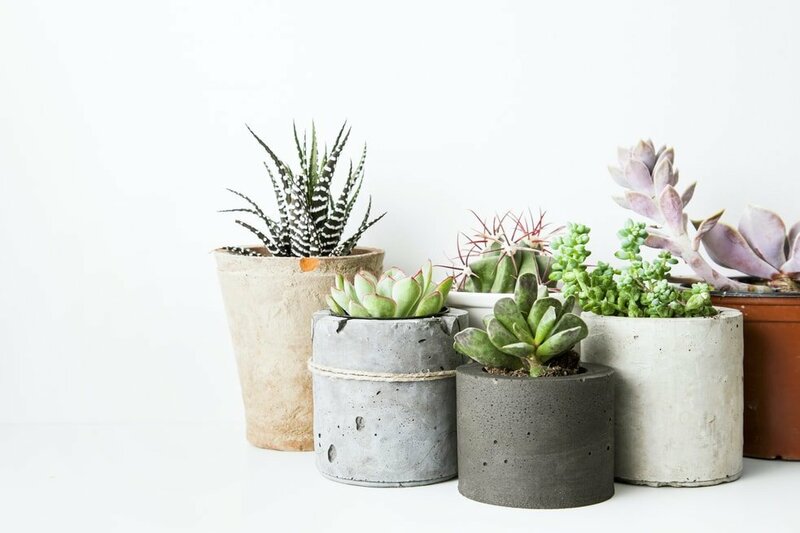 A set of cute ceramic planters like this one from Amazon can be perfect for housing your succulents. Those who prefer a more energizing environment should search a bit further for more vividly-colored vases. 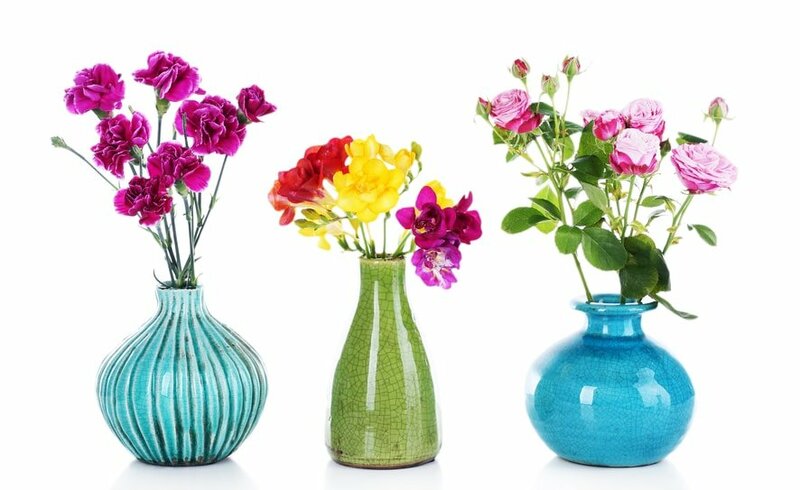 More bold-looking vase styles are also recommended if you wish to make a great interest point from your plant. Here’s a good example of a planter set that’s close to what we had in mind. If you plan on adding large plants, we recommend woven baskets as their natural fibers provide an extra touch of texture. 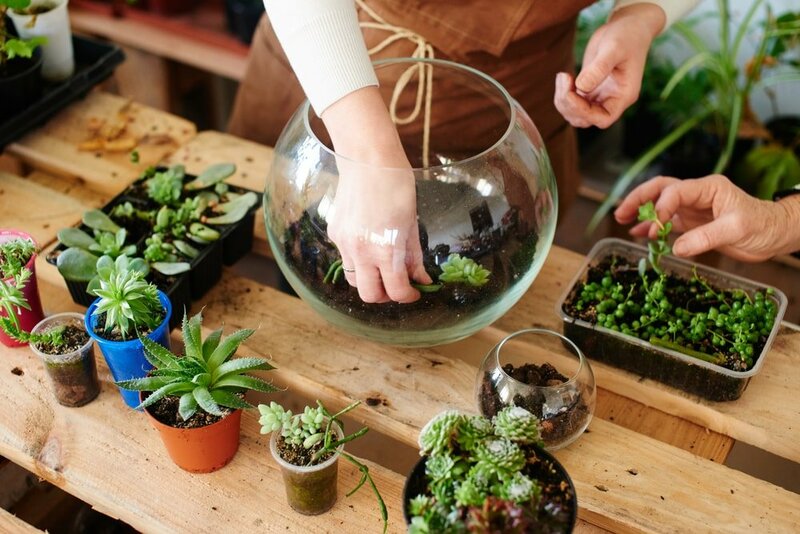 Those who are into DIY projects will probably appreciate the wonderful transformation that can be obtained with the help of a terrarium. It’s sure to add a fresh look to any room and it won’t require a lot of effort to put together. One of the most important elements needed is a clear glass vase. Then it’s simply a matter of selecting your favorite combination of plants such as succulents, air plants, or moss. Adding a few decorative river stones can complement the overall look of your terrarium. After the terrarium has been finished, it’s time to find the ideal spot to display it. This is where you can get creative and place it anywhere from the windowsill to the bedside table or somewhere in the office. If you want your terrarium to look more glamorous, we recommend a gold geometric planter. Plants need to absorb natural light to remain healthy. If you want to allow them to thrive and elegantly display them at the same time, why not invest in some cool-looking shelves? They can take your décor style to new heights of gorgeousness while providing convenient storage. This is a great suggestion because you can use shelves to display plants along with other personal or decorative items. To get the best effect from shelves, we recommend going for floating and glass models. Your plants deserve to be treasured and showed off. Take a look at this set of floating shelves from Amazon that use ropes to create a more rustic effect. If your oversized floor plant is difficult to move around when you wish to vacuum or to keep it out of the sun, perhaps it’s a good idea to invest in a convenient plant caddy. There’s a five-wheeled model we really like on Amazon. Finally, you can enjoy the lush leaves of your tall fig plant in another place without too much effort. 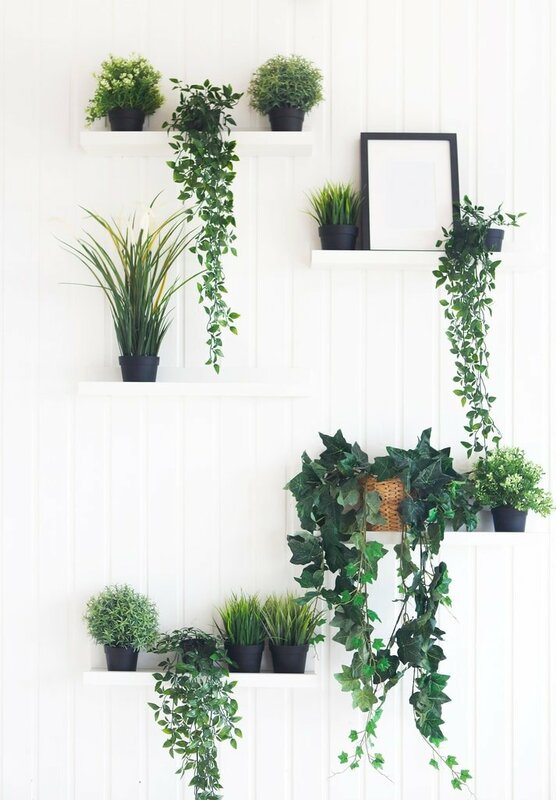 This is a more daring idea that works best if you’re a fan of having full shelves of plants. You can place the shelves to act as a room divider which can be a neat idea if you want a unique way to delineate parts of the room. This is a more interesting method compared to simply relying on opaque furniture or screens. When plants spill out from their containers, it creates a very pleasant cascading effect. 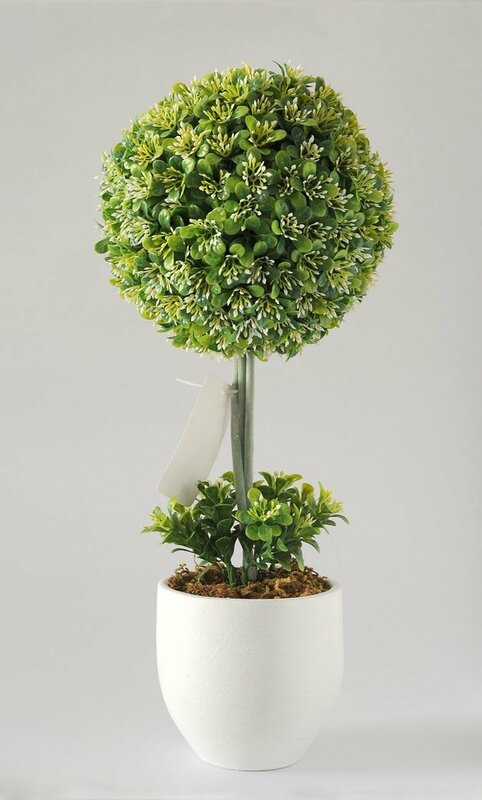 If you wish to add a sense of living sculpture into your room, consider integrating such a plant in your home. Keep in mind that you need to have a certain house architecture to allow a plant to cascade to a lower level. 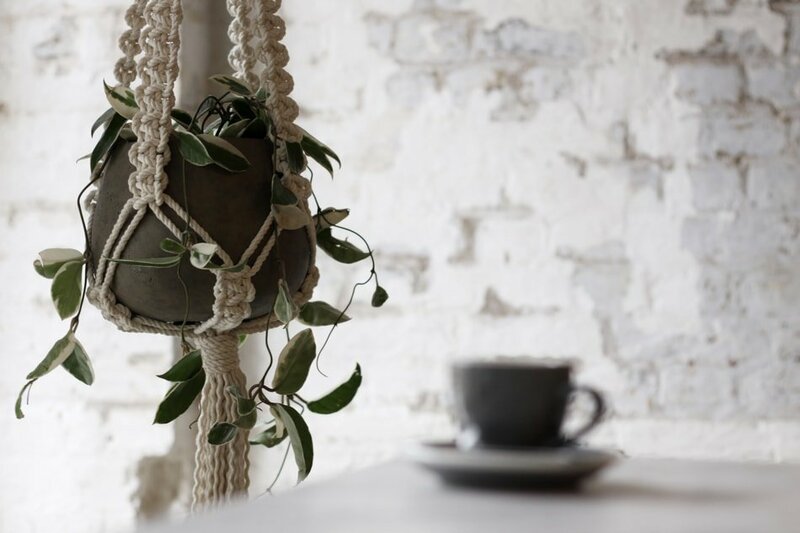 We’ve talked about created a hanging herb garden, but plants can also make a great statement when used with Macrame hangers. 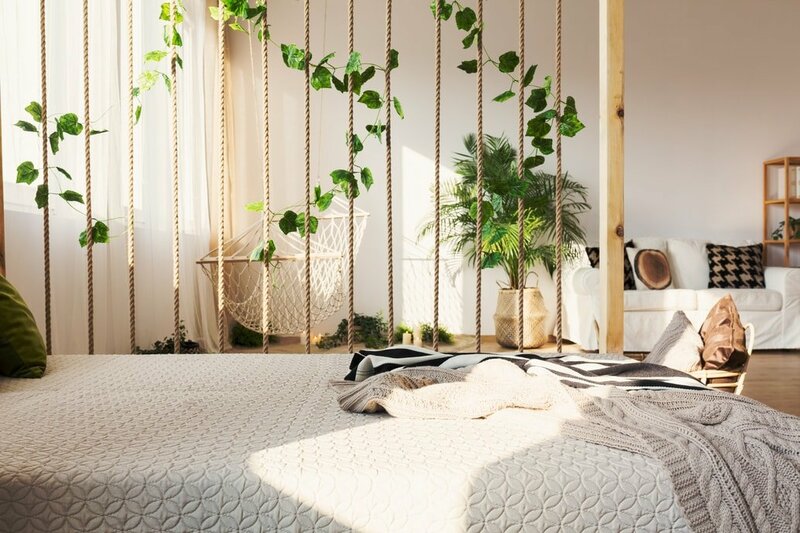 You can get creative and hang some lush plants close to the window, on your balcony, or to add a pop of vibrant green in your meditation corner. This tip works very well for those with limited space as hanging plants doesn’t have a footprint. Check out this stylish set of Macrame plant hangers from Amazon. 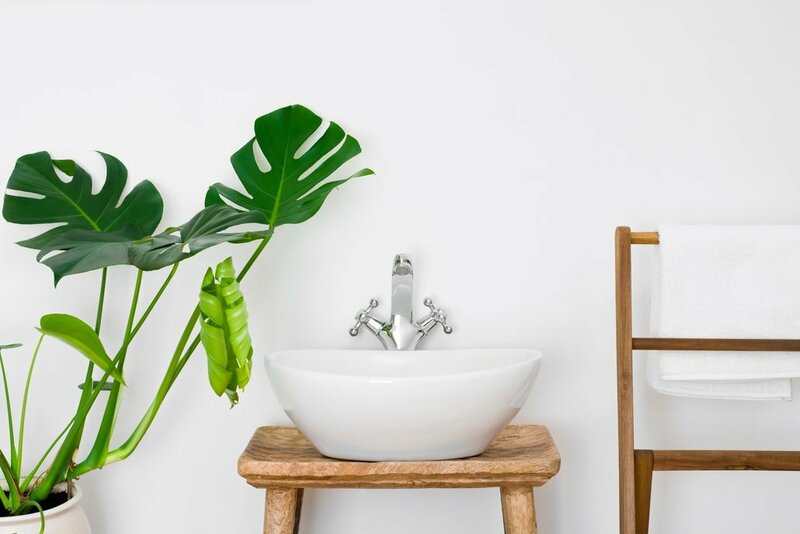 The bathroom is one room in your home that could use more plants. The green contrasts nicely with the clean white look of a bathroom. This could be the final decoration piece that’s missing from transforming your bathing space in a more serene area. If you’re not a fan of using the entire leafy plant, there’s another option you might not have considered. You can use only branches or fronds from a plant which means you can place them in various ways to decorate with some vibrant green accents. Think of it as the beautiful essence of the plant. Having only a branch works particularly well with the bohemian interior design style. If you can’t really find the ideal plant pot to suit your style, why not modify a basic planter yourself? Through a bit of DIY work, you can rejuvenate the look of your home with more creative plant decorations. Many ceramic pots can be painted to add a bit of artistic charm and uniqueness. Filling empty spaces with green life is fun, but not everyone may have the luck or patience to care for live plants. If that’s you, don’t worry because there’s a solution to this problem. You can include a touch of nature through various plant motifs and enjoy similar green feelings as if from real houseplants. With a bit of creativity, you should be able to enjoy a stylish look without the usual hassle of caring for the plants. 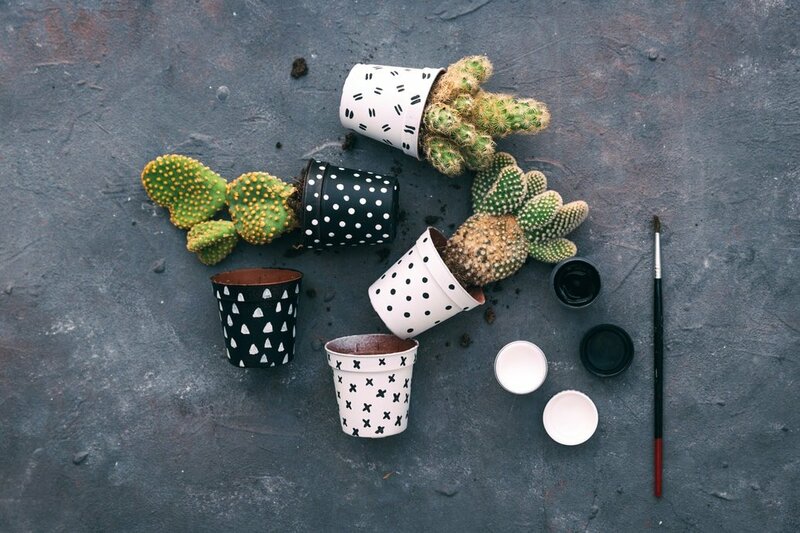 Consider some accessories that take your mind to the green world of plants. 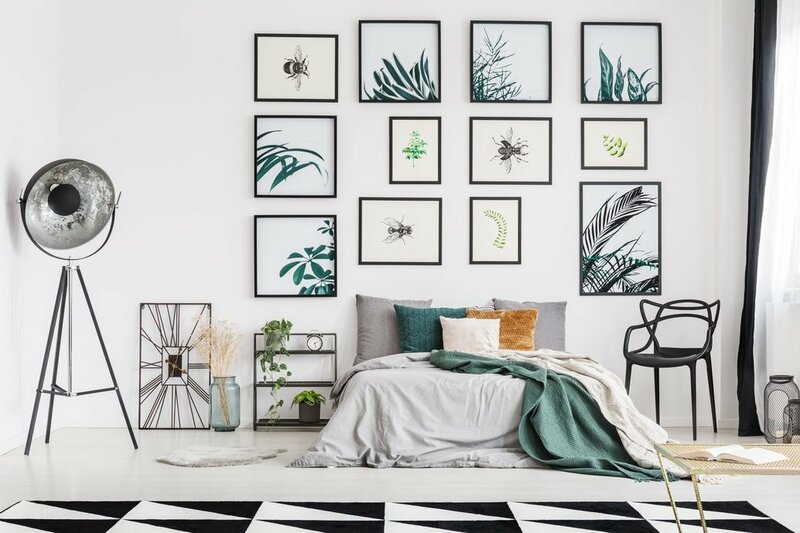 Whether it’s a large wall mural or simple pillow designs, plants can still be part of your home through various motifs. These plant elements and imagery may not be as effective as real ones, but it’s still worth trying. To accentuate the visual effect you could also work on impacting other senses. For example, consider placing some scented candles or diffusers that mimic the way plants make the air feel fresher in a room. 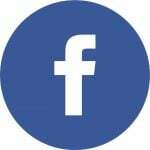 If you liked our article please share it with your friends and family. We would really appreciate it cause we put a lot of love and effort into bringing it all together. 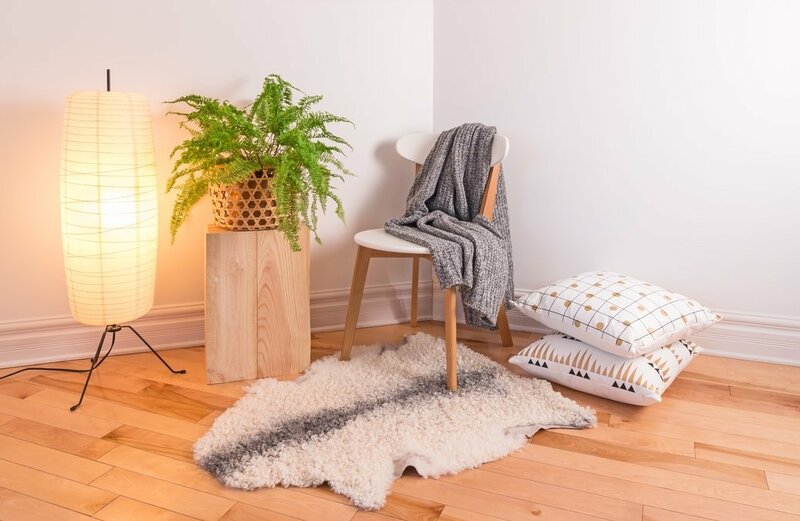 You might also like our articles about the Hygge Decor Concept and How to Use the Space Under the Stairs.